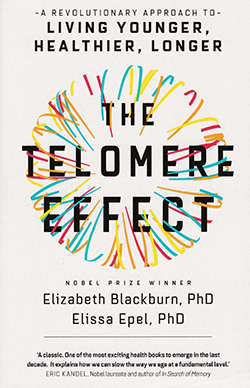 Elizabeth Blackburn received a Nobel Prize for discovering the molecular nature of telomeres (the ends of our chromosomes that serve as protective caps) and telomerase (the enzyme that maintains telomeres). The book is an interesting and useful manual on how to live and age healthily. In this book the author teams up with health psychologist Elissa Epel to discuss in detail the relationship between telomeres and lifestyle. Quoting science and personal stories, the text explores how telomeres respond to our feelings, stress levels, nutrition, physical activity and sleep. The broad thesis is that, by living positively, we can delay premature ageing at the most elemental cellular level. The text is engaging, easy to read and straightforward to navigate. While not specifically nursing focused, it offers useful information on physical and mental health broadly relevant to all nurses. It will be of particular interest to nurses in health promotion and students of gerontology.